Happy Monday! Hope everyone had a wonderful weekend! When I spotted this top I instantly feel in love! 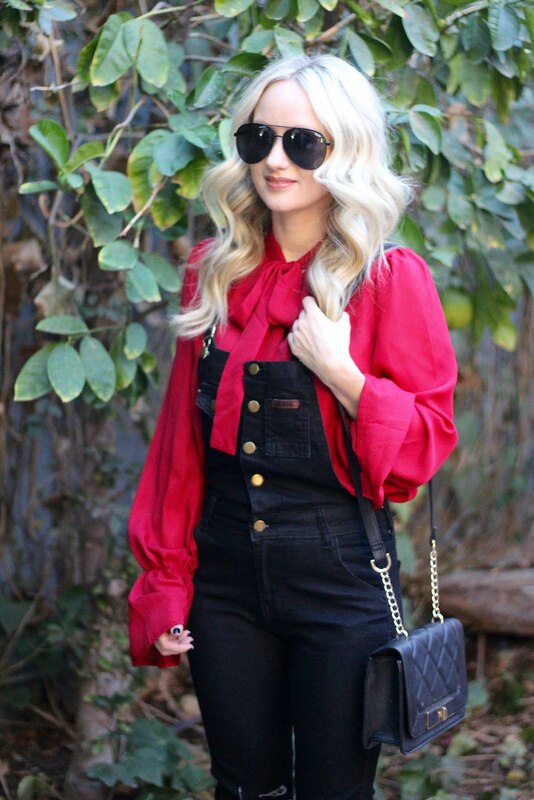 I wore it as a more casual look with these overalls (only $10). 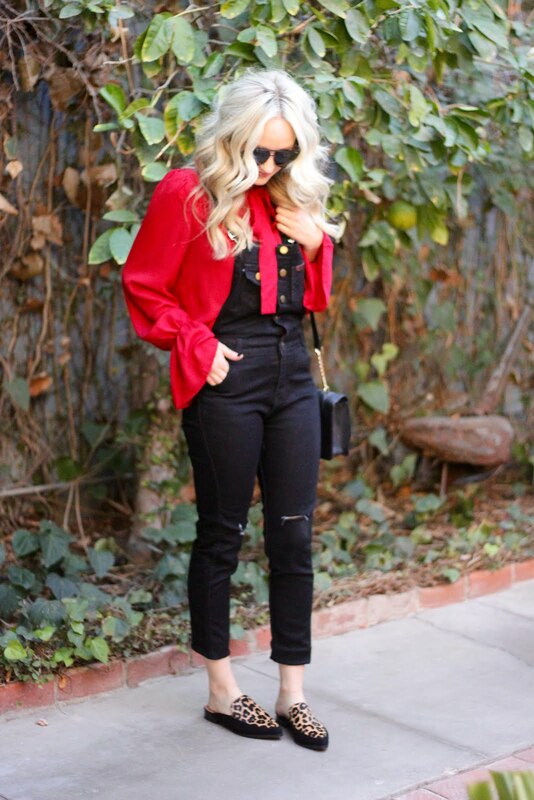 You can dress it up with a pair of jeans and some boots or booties. Or a black leather skirt with a pair of pumps. It would also make the perfect blouse for Thanksgiving...THAT IS NEXT WEEK! I seriously can't believe it. It is only $13 and comes in a pretty camel color too.